While politicians hammer out the details it is generally accepted that corporations and by extension the investor and asset owner classes are targeted for benefits under the coming Republican tax plan. The logical implication of that beneficial treatment is that barring a market meltdown in the interim, people looking to unload stock positions and take profits would tend to wait until January in hopes of gaining the 2018 tax benefit vs. 2017’s tax code. I’m pleased to let you know that we’ve added Percentage charts to SlopeCharts. 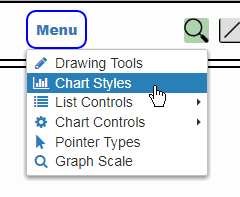 To use them, just choose Chart Styles from the menu. Then select the rightmost icon. Even though it is a so-called holiday, we’ve added like FIVE new features to SlopeCharts. I’ll be talking about them over the next few days. 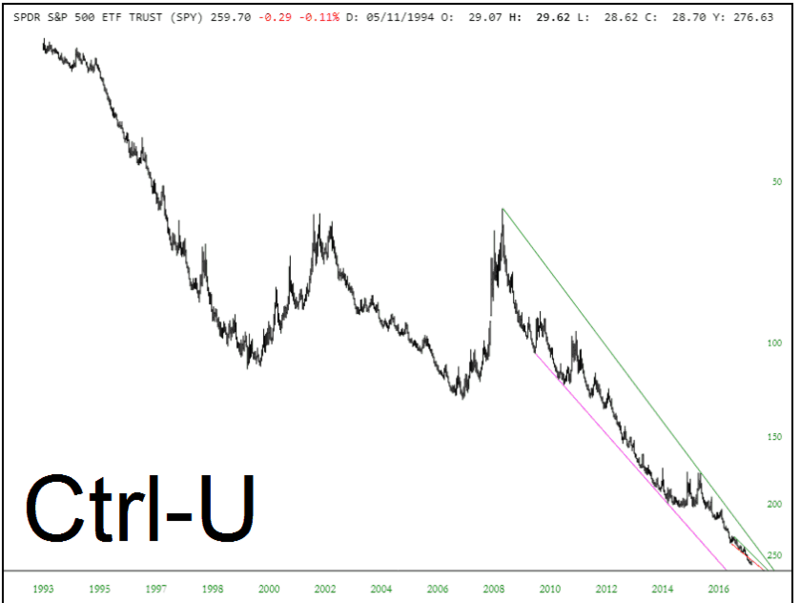 One of the features I missed from ProphetCharts days was the Ctrl-U keyboard command, which flipped the chart upside-down (this is a cool way to give yourself an entirely new perspective without having to stand on your head). Well, we’ve added it to SlopeCharts now – – give it a try! Just press Ctrl-U to toggle between normal and upside-down mode.